With a life that spanned times of war and times of peace, times of plenty and times of want, Shirley Almond made the most of every moment she was given. She was hardworking and driven to succeed with a zest for life that was contagious to all who were near. Shirley was deeply devoted to her family, and she was so proud to witness her family grow to include the children, grandchildren, and great-grandchildren who were her greatest source of pride and joy. 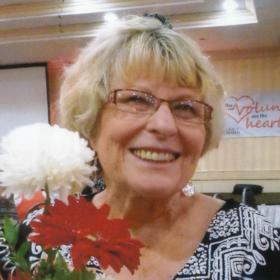 A longtime member of her community, Shirley was part of many groups and organizations that she enjoyed. Dearly loved, she will be forever missed. The 1930s were primarily defined by the Great Depression. Although times were tough, there were still things to celebrate such as the completion of the Empire State Building and the first Macy’s Thanksgiving Day Parade. Things were looking up as the decade was drawing to a close as cities, communities, and families came together to weather the storm. Amidst this eventful time was a time of great celebration in the lives of Samuel and Florence (Fry) Miller as they announced the birth of the baby girl they named Shirley Eileen on November 6, 1937, in Hicksville, Ohio. The middle of three girls, she was raised alongside her older sister, Janice, and her younger sister, Dale. When Shirley was four years old, their family moved to another farm in St. Joseph, Indiana. From the time she was young Shirley gave everything her all. Growing up on a farm meant she had her fair share of farm chores. Shirley attended local schools where she excelled in her studies, and she also played her baritone in the band for a time and performed in several plays. 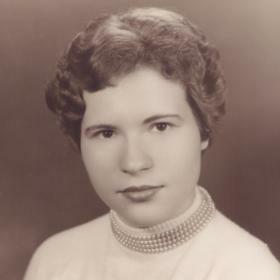 During the middle of her senior year, Shirley’s family moved to Bronson, Michigan, where she graduated from high school. She then took a secretarial job at a local manufacturing company. Not to be forgotten during her years as a young woman was Shirley’s introduction to the young man of her dreams. His name was Kenneth Almond, and they met at a local dance in 1957. They hit it off and planned a first official date. When he was late in picking her up, Shirley assumed that she was being stood up so she had already changed and put curlers in. When in reality, Ken had car trouble so that was the reason for his late arrival. Despite the first date drama, sparks flew and they were married one year later on January 19, 1958. 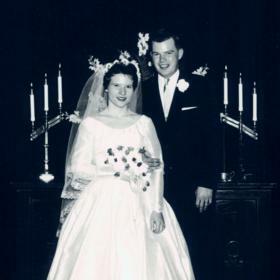 As young newlyweds, Shirley and Ken moved around southwestern Michigan depending on where Ken was working at the time. In addition, they operated a small restaurant for a time during those years, and Shirley also worked as an executive secretary at various companies. Together they welcomed three children including Kelly in 1960, Nadine in 1962, and Gwen in 1969 into their hearts and home. Eventually, they settled in North Muskegon, which is where Shirley lived for much of her life. At Ken’s encouragement, Shirley became active in the community. She was elected to the North Muskegon City Council. Over the years she served on many boards and belonged to several organizations including Service League, Women’s Division of the Chamber of Commerce, Muskegon Civic Theatre, Jaycees, Every Women’s Place, and several others. Shirley also volunteered at Hackley Hospital and the Nearly New Shop. She was a member at First Presbyterian Church and was a part of its Sarah Circle, active in the Red Hat Society, and was currently a Queen Mother of her group. Ken eventually started his own metal anodizing company, “Almond Industries,” and Shirley helped in the office during the early years. The company grew to employ over 125 people and was very successful. Unfortunately, Ken was killed in a snowmobile accident in 1989. Shirley then became the CEO of the company and continued running it until selling in 1991. Throughout her life Shirley was a bustle of activity. As a young wife she accepted Ken’s challenge to not make the same meal for 30 days, and as a result she became an amazing cook. Later on, Shirley put her cooking skills to good use for charitable causes and put on dinner parties for people. She and Ken were very social folks and always up for a good time. Shirley was an excellent seamstress and made many great costumes for Halloween and other functions. She also had a deep affection for sports cars and throughout her life she always drove the latest models. 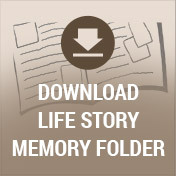 Although she was deeply saddened with Ken’s death, Shirley continued living life to the fullest. She remained active in the community and with her volunteer work. Shirley also carried out the plans that she and Ken had made to retire early and travel the world. As a result Shirley took RV trips around the country, went on cruises around Africa and the Panama Canal, made many trips to Europe, and then several took several trips to the Orient, just to name a few. Shirley had several marriages during those years and lived in various places as a result. Among her homes was a wonderful vintage home in St. Augustine, Florida. For a short time she tried Las Vegas, but she eventually settled back in Muskegon. In 2012 Shirley and her loved ones were given a tough pill to swallow when she was diagnosed with breast cancer for a second time. She fought the disease and recovered well, but eventually the years started to take their toll and her body weakened. She was diagnosed with lymphoma and suffered a brain aneurysm which she never fully recovered from. All who knew Shirley Almond would agree that she was truly beautiful on the inside and out. She was strong, courageous, and independent with a heart that beat to serve others in ways both great and small. Shirley experienced so many of the best things that life has to offer, but what made these experiences so extraordinary was sharing them with the ones she loved. Life will never be the same without her here, but she leaves behind a timeless legacy that her loved ones will proudly carry on in her footsteps. Shirley Eileen Almond, passed away Sunday, December 16, 2018. 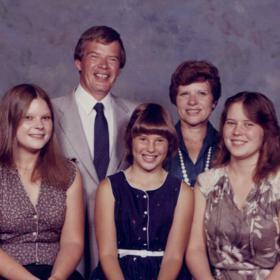 Shirley’s family includes her daughters, Kelly Church of TX, Nadine (Roger) Dexter of Muskegon, Gwen (David) Chrulski of OH; grandchildren, Heather (Daniel) Burdick, Jennifer (Matthew) Irwin, Melinda (John) Chacon, Sara Sherwood, Alecia (A.J.) Larabee, Kenneth Chrulski; great-grandchildren, Jacob, Sarah, Caleb, Nathan, Thomas & August; sister, Dale Miller. 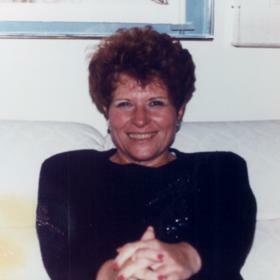 Shirley was preceded in death by husband, Ken Almond in 1989, and sister, Janice Shafer in 1985. Services will be held on Friday, December 21, 2018, 11:00 a.m. at First Presbyterian Church with Rev. James B. Rausch officiating. Visitation will be held on Thursday, 2:00 - 4:00 p.m. and 6:00 - 8:00 p.m. at Clock Funeral Home - Muskegon. In lieu of flowers, please consider giving to Muskegon Rescue Mission.